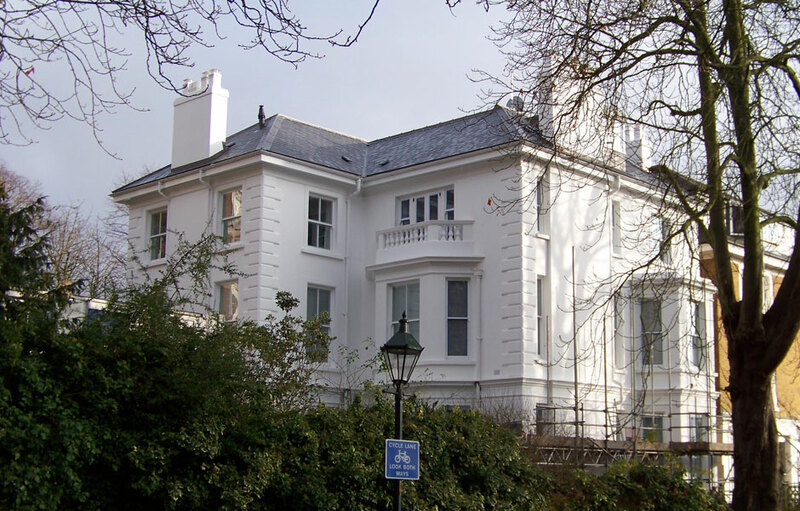 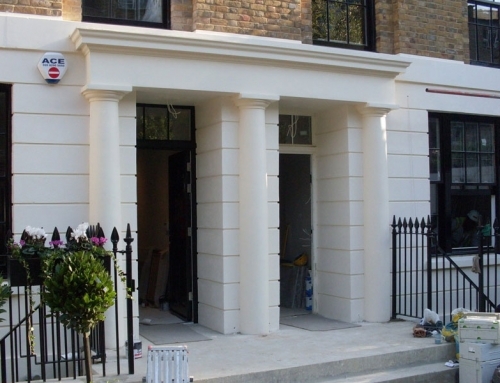 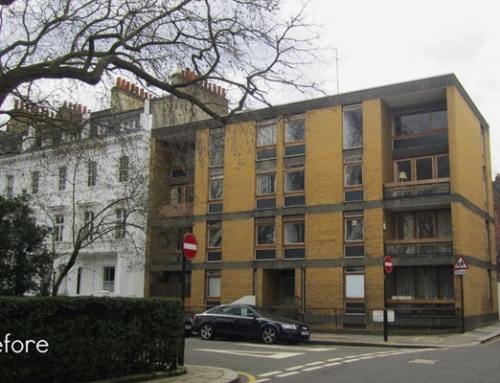 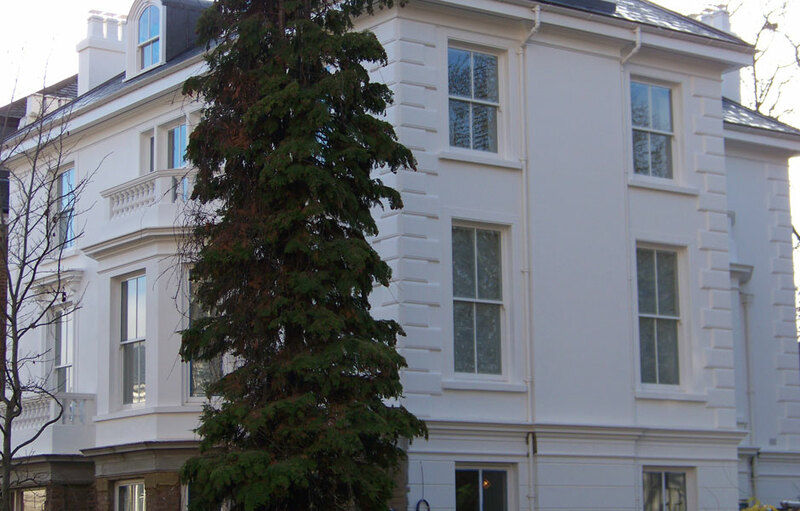 Phillimore Gardens, Kensignton, London was a major project featuring both external and internal architectural mouldings. 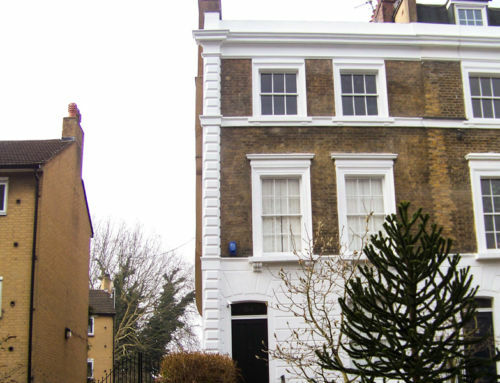 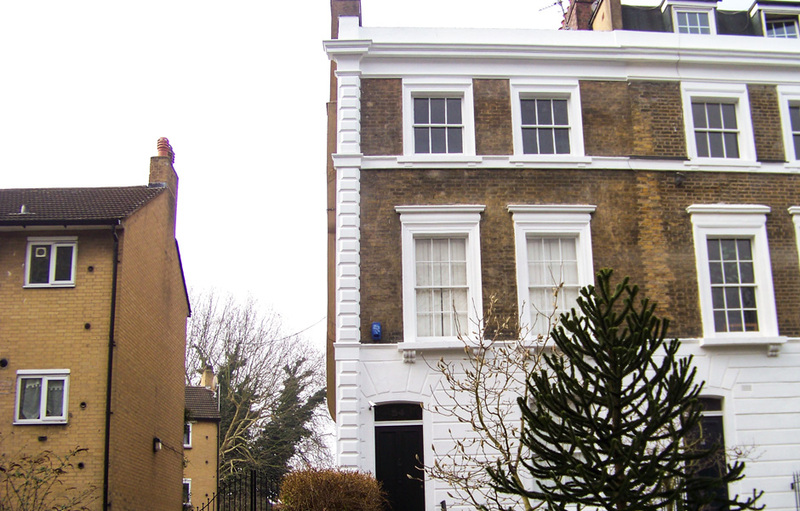 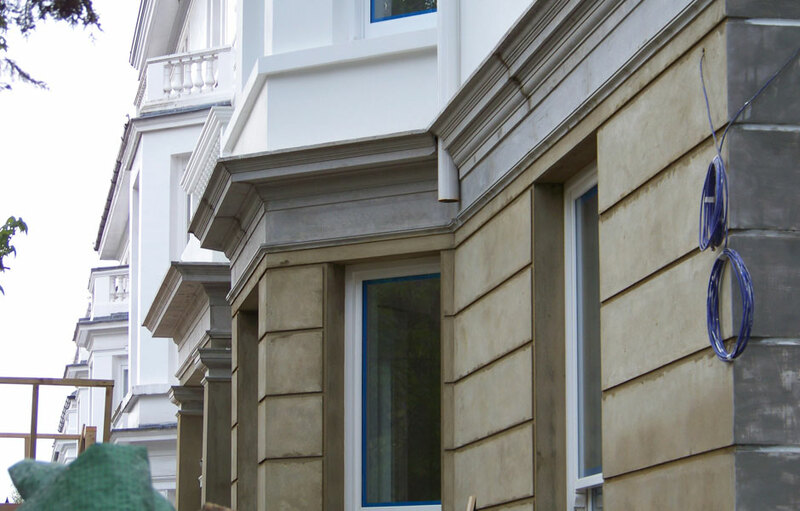 This large private residence near to Kensington park was to have a large side extension added to which all external mouldings were to be applied to match the existing insitu items within this conservation area. 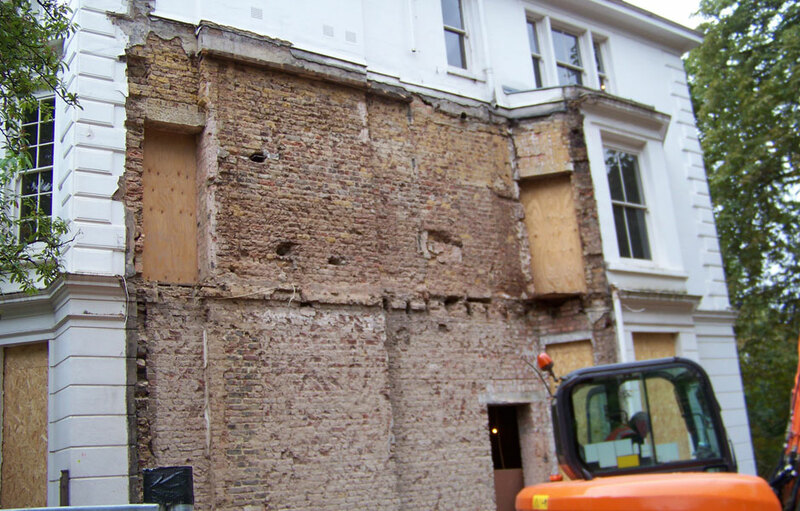 As the remaining existing mouldings to the rest of the house where in a poor state of repair the decision was made to replace all the mouldings and render work to the entire external elevations around the whole building. 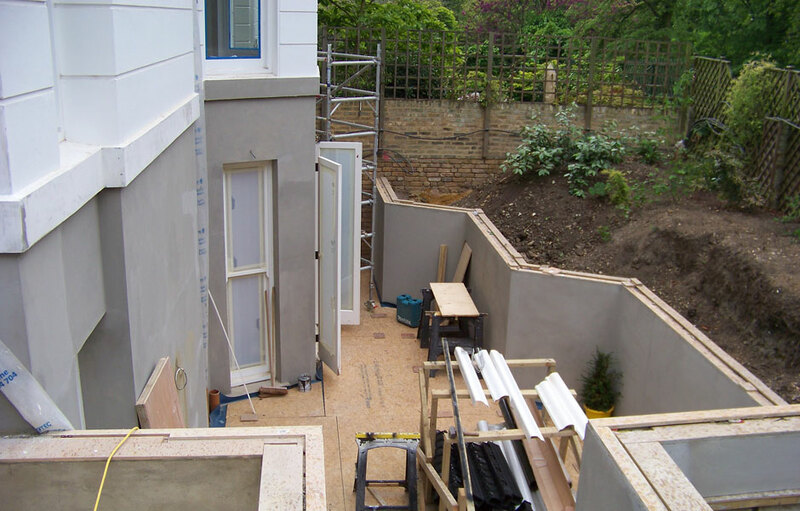 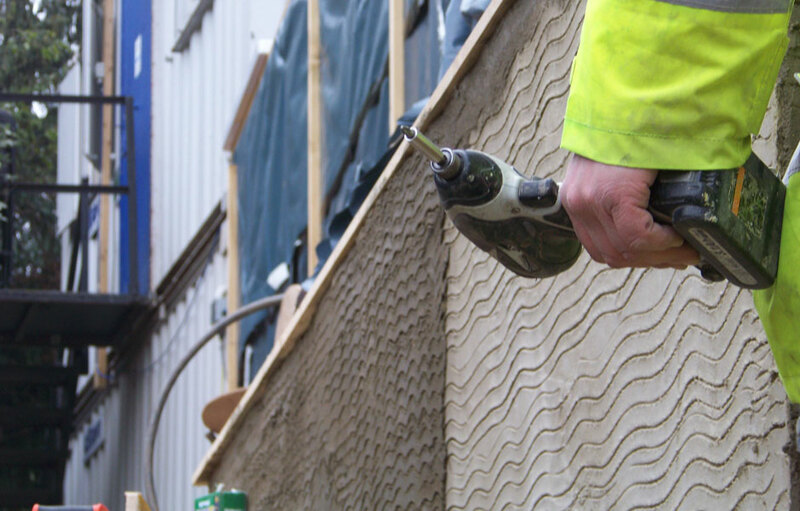 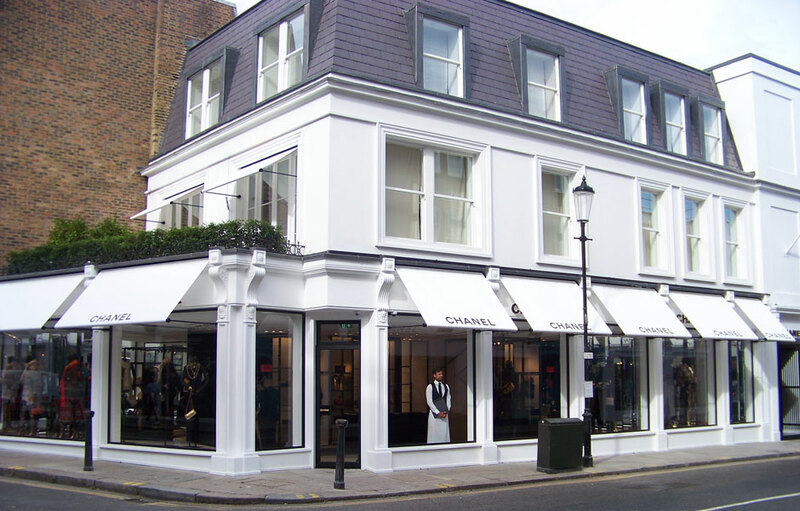 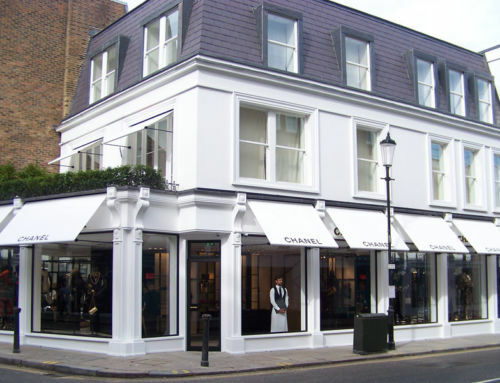 The works involved the replacement of all the external render to an exact level of finish. 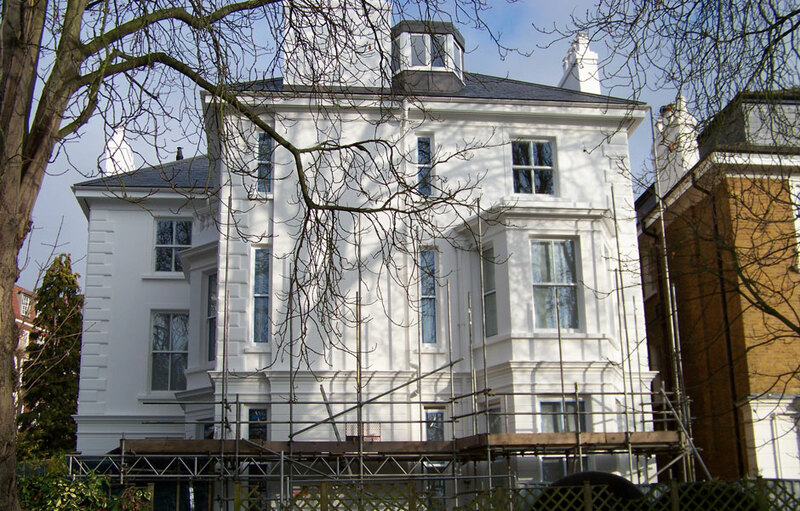 In order to achieve this all elevations had timber rules applied by laser level to ensure exact lines of finish were achieved, the render was then applied in several coats as required to create the correct thicknesses. 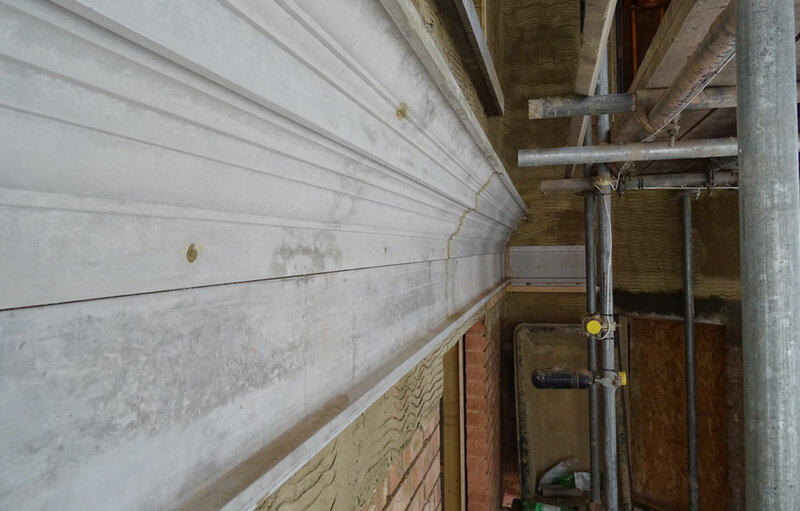 All angles were created through the use of laser applied timber rules and hand applied render to complete these “soft” angles. 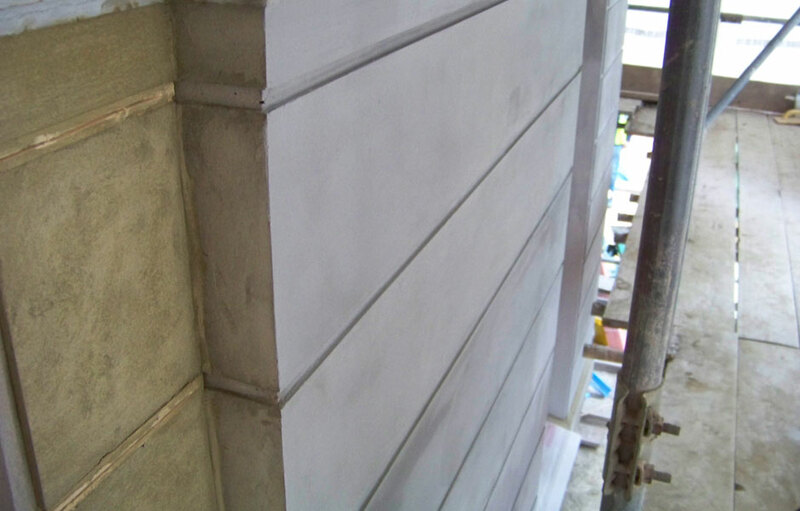 A special additional coat was applied over the final coat to achieve an above standard level of finish. 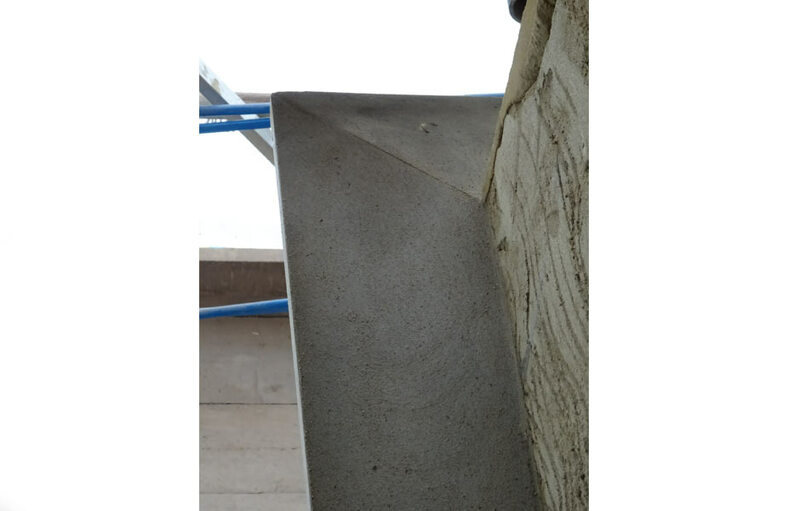 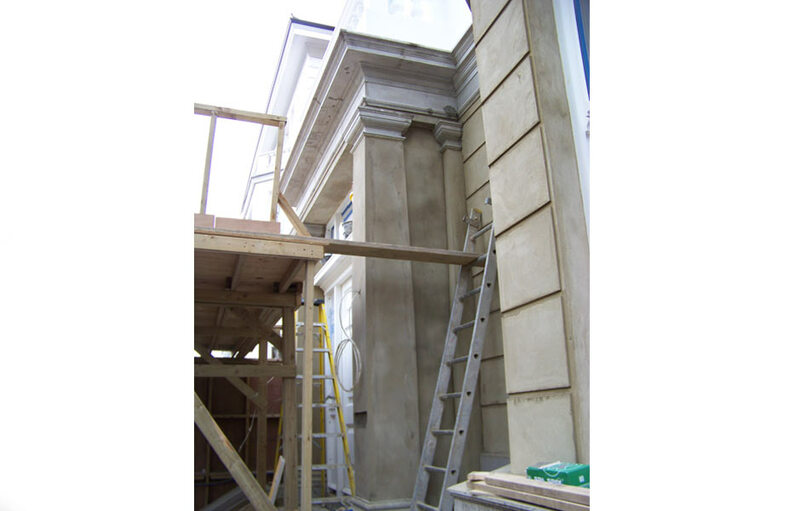 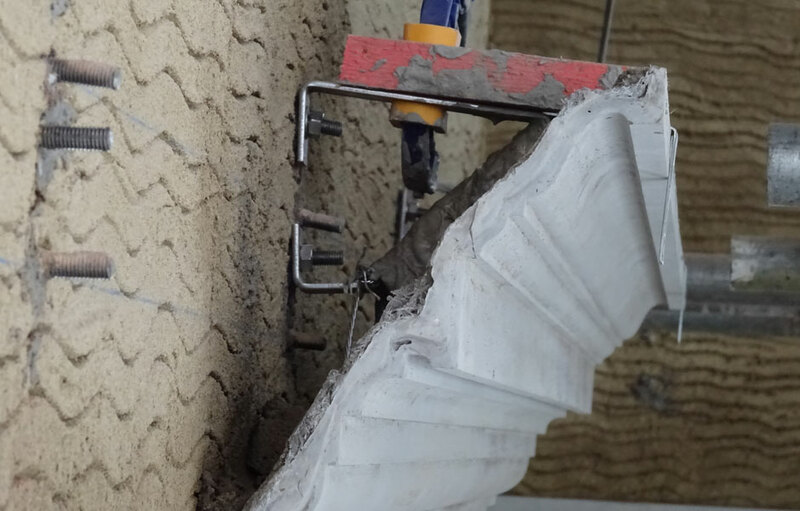 All mouldings were precast sections in sand and cement from moulds manufactured to match to the existing designs. 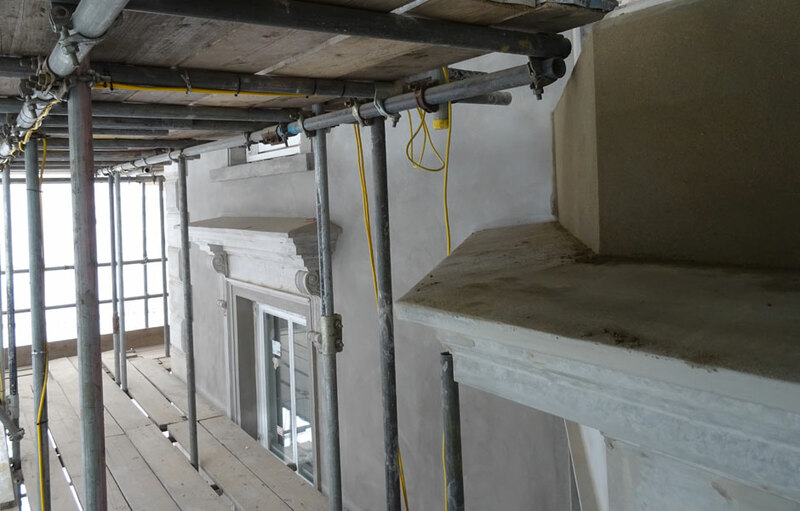 This included the higher and lower level cornices; window pediments; all balcony sections of rails, plinths and bottles; Quoins; friezes; and ashlar sections. 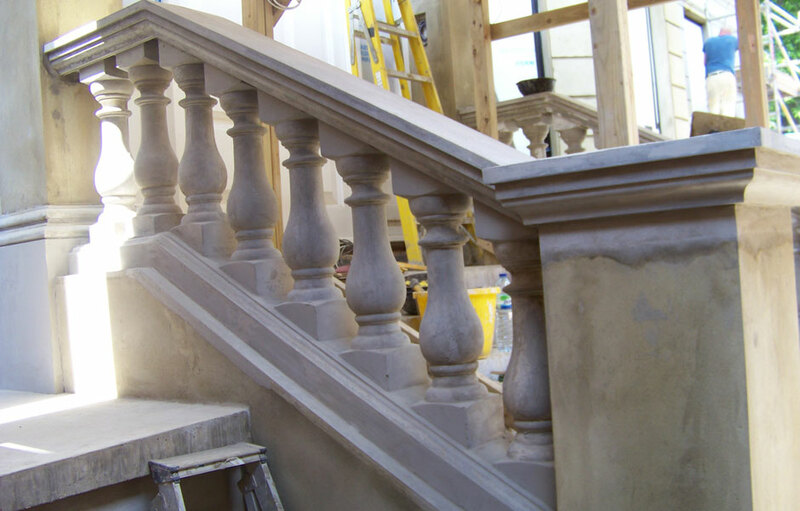 The entire front porch was also recreated inclusive of the staircase hand rail, plinth section and bottles, the caps and bases to columns and pilasters where recreated as precast units whilst the shafts were hand rendered to a series of timber rules set out to achieve the correct entasis. 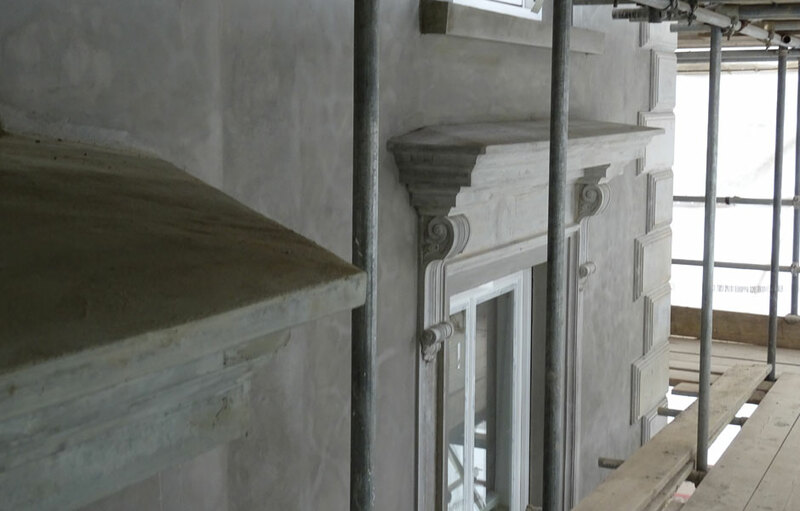 The internal refurbishment consisted of the supply and installation of several standard Victorian design cornices ranging from enriched cornices in the main reception rooms, a plain block design to the entrance hallway, and large plain coved designs to all the areas to first and second floors.